With 3,424,971,237 people, or 46.1% of the total human population actively using the internet, digital marketing is the most effective way to reach your potential customers nowadays. Digital marketing, in its very basic nature, is directing traffic to your business' main website. By growing traffic to your website, it will increase the chance of conversion, which is the transformation of a website visitor to an actual buyer. But with the vast diversity of digital marketing tactics, techniques, and jargons, it can be a daunting task. Blogging has many advantages to your business. The first and foremost is to show your business' expertise and knowledge about what you're doing. By showing that you actually know what your business is and how dedicated you are, it will generate credibility in the eyes of your customers. The second is to build awareness of your products or services, and its value. Many people didn't realize a product or service is beneficial for them until they learn about it. Your job as a digital marketer is to elaborate your value to your target market, and this can be achieved through a well-written blog post. 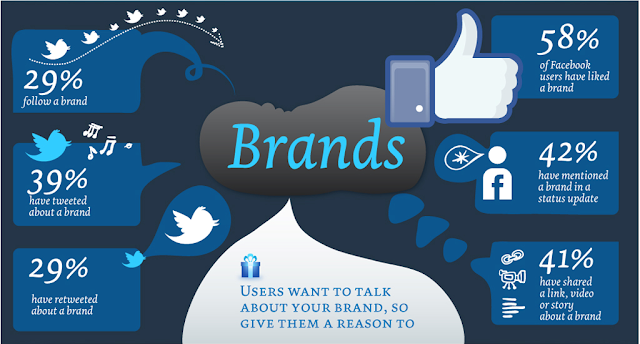 The third advantages will relate to search engine optimization (SEO). A well-written blog post can attract links with in return will help build traffic to your main landing page, increasing its domain authority and it will rank higher in searches. Domain authority is one of many criteria used by Google to determine search engine ranking. With better search engine ranking, more people will recognize, and visit your landing page. personalisation and mail merge are two strategies that can greatly increase the chances of your approvals from blogger outreach. Influencers are individuals with a number of followers, readers, or viewers, of which they can 'influence' the said readers with their posts and opinions. One type of said influencers that we can utilize are bloggers. By asking influential bloggers to post your content and link back to your site, it will also increase your site overall authority on the search engine, increasing the site credibility. 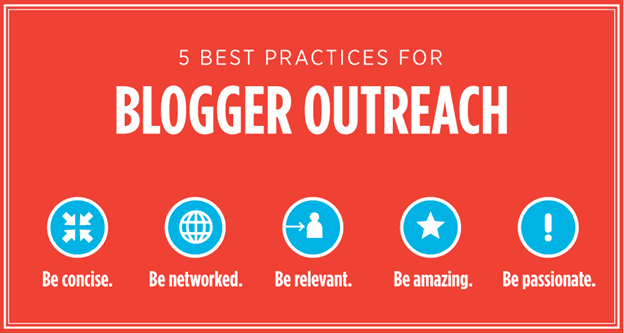 This method is called blogger outreach. Numerous software and apps are available to help you find bloggers with followers that match your target market. One of them is Ninja Outreach and it is highly recommended. After you found the right blogger, you can contact them with your proposal. Social Media is no longer a fad. With the rise of mobile devices as the main platform for internet access, there are now 2.3 billion active social media users in 2015, and still steadily growing. Not optimizing and maximizing your social media marketing effort nowadays is a marketing suicide. 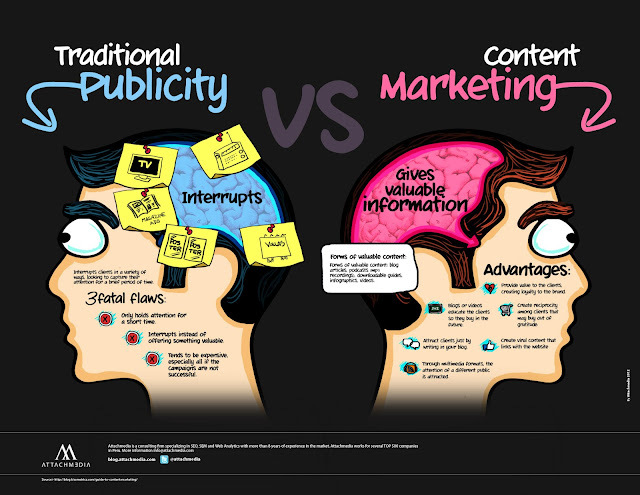 But yet, not many of so called 'marketers' understand the essence of how to utilize social media marketing effectively. One of the most effective ways is to share your already effective blog posts on twitter and facebook. Not all of your audience have read all your articles, so, re-sharing old, evergreen articles periodically is also a good idea. One of the seemingly obvious, but common mistake marketers do is forgetting to include the link to the main website on the social media profiles. All profiles should have links to your main website. This way, social media directs traffic to your blog posts, and your blog posts direct traffic to your main landing page. Some of the visitors to your landing page will actually make the purchase. 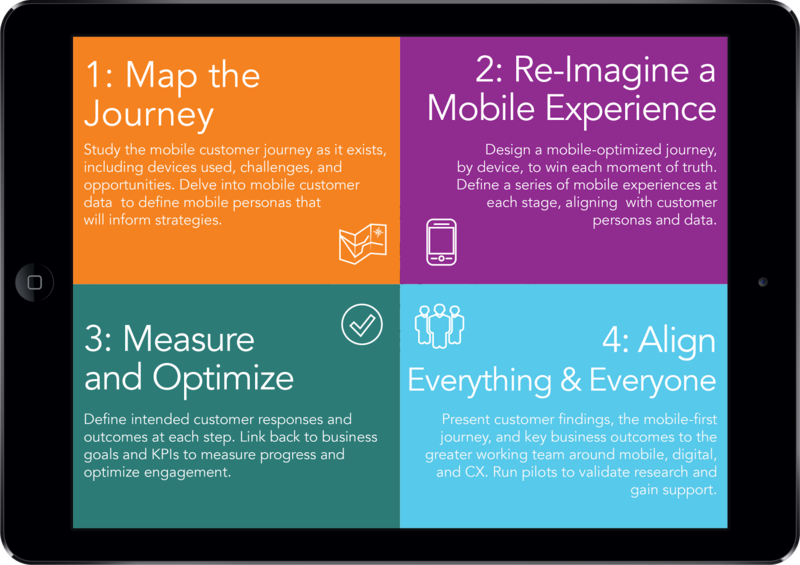 This is a powerful customer journey in a digital marketing strategy. Although mailing lists are as old as the internet itself, it is still proven to be powerful even nowadays. A mailing list is mainly utilized for blog subscribers and repeat customers to maintain their loyalty. Email regularly, but not too frequently with your articles, news of new products, and other interesting information. Some of them will also be interested in making another purchase -another conversion.- It is also a good way to remind old customers to remember you and re-visit your site. 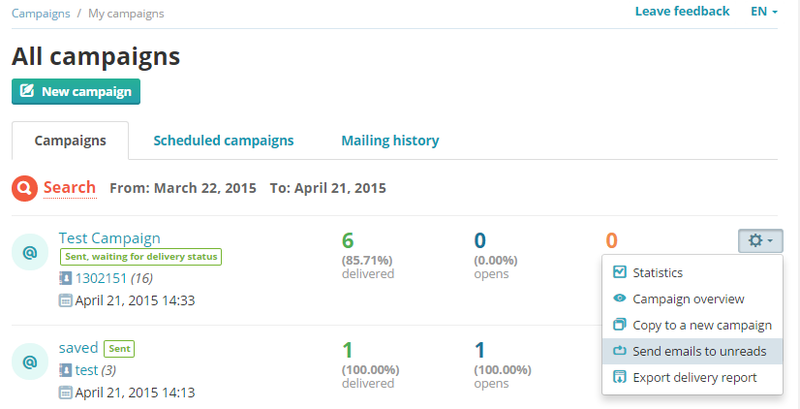 Sendpulse offers a solid infrastructure to those interested in sending out to mailing lists. If you are sending out commercial offers make sure that you have the permission of the receiver, otherwise you might be flagged as spammer. Build a mailing list and email regularly people who subscribed to it with your articles, they are probably interested, it helps to have past visitors to check your site again for more info. 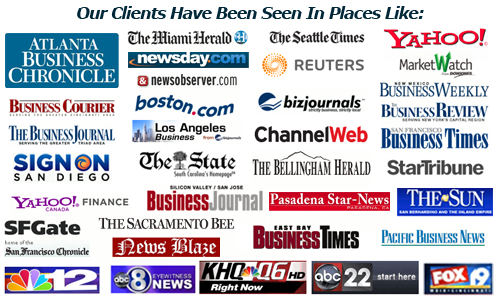 If your business is newsworthy, writing a good press release will add another dimension of reaching your audience. The key to a good press release, besides of it being well-written, is to find a suitable media company that can reach your particular target market. Make sure to include the link to your website in the article. Digital Marketing, if utilized properly can be a powerful way to gain traffic, build brand awareness, lift the value perception of the brand, and in the end, increase conversion of sales. With the internet being the main source of information on most people's lives, marketers should also understand its value and how to maximize its potential to benefit the business. Mobile First SEO Strategy - Get Started if You Still Haven't! Mobile comes first for the users and mobile comes first for the businesses. A mobile first SEO strategy matters the most for local businesses which needs to get ranked on A position on the Google location search results. In order to tap the full potential from users searching on mobile devices, you need to have a responsive site or app that lets your targeted audiences directly contact you while they are a conducting a search on Google. A lot of creators of the website are following the “mobile first movement” strategy. This means that even before planning to design for the desktop or laptop systems they design for mobiles. The reason being that this gadget is more relevant than a desktop for many users now. It is important that the website developers understand the interaction of their potential market with the website through the mobile phones. Height and width of the screen etc. This information is essential in determining the appropriate CSS rules and works as the foundation when designing the responsive designs for websites. For many individuals a desktop is very different from a mobile. A mobile is a highly personalized device which the individuals use for multiple purposes. This is the reason the individuals required to develop responsive web designs might want to make use of analytical figures to determine the way these gadgets are being used by their target audience. Some internet surfers prefer searching information on websites using a search bar. If this is the case the website must feature an always visible search bar for their ease. Nothing puts off a visitor more than a slow loading website. According to the latest studies conducted to study the behavior of the mobile users highlights that the individuals expect the websites to load in about four seconds. In order to increase the loading time of a responsive web design it is important to get rid of the non-optimized images, which are in most of the cases the main culprit for slower loading. These images can be scaled down using the effective web tools and applications easily. You should have a mobile app that automatically detects the device of the user and loads it whenever someone taps on your search results using a mobile device. How to Design SEO Friendly Web Page? 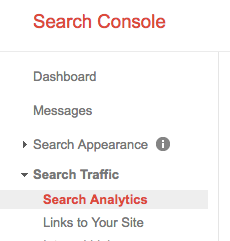 "Compare Queries" Option in Search Console - What Should You Look Into? Google recently launched the "compare queries" section under the Search Console. This post will explain all the stuffs that you should look into while comparing individual keywords. Step 3: Check the Queries filter and click on Compare Queries. A drop down box will open. Enter the queries that you wish to compare. 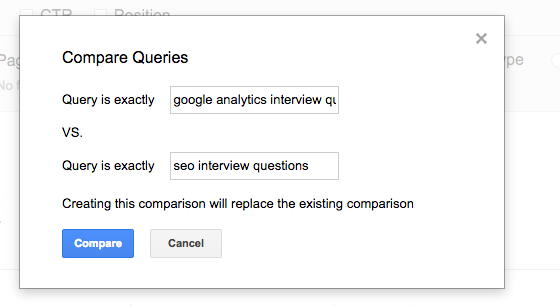 Here, I have entered the queries "google Analytics interview questions" vs "seo interview questions" as I wish to see a comparison between these 2 search queries. Click on compare and Google will return the number of total clicks that your site receives from the compared queries individually. What to Check with the "Compare Queries" section ? 1- You can compare the performance of each keyword on the basis of clicks, impressions, CTR and average position. 2- You can check the number of clicks sorted on the basis of countries and devices like desktop, mobile and tablet. This will help you to understand the popularity and importance of keywords on particular countries and devices. 3- You can check the pages that are ranking on Google for these queries. If there are duplicate pages ranking, then you can easily detect and rectify them.